This review is part of Nonfiction November hosted by Katie at Doing Dewey, Kim at Sophisticated Dorkiness, Becca at I’m Lost in Books, and Leslie at Regular Rumination. The Underground Girls of Kabul is an extremely readable, yet heart-breaking and eye-opening immersion in a culture that is brutal to women. It would also make a great choice for book clubs. Investigative journalist Jenny Nordberg exposes the “unofficial” custom of girls pretending to be boys (called bacha posh) in present day Afghanistan. This book was the darling of last year’s Nonfiction November and I missed out on it then. This is one of those books where you learn a ton, but don’t realize it. I felt like I was just reading a story, but I might as well have been taking a course on life in Afghanistan (particularly for women), Islam, the Taliban, and the effects of war on regular Afghans. The book goes way beyond the Afghan (actually, this custom can also be found in many other countries) custom of girls living as boys. It paints a vivid picture of what it means to be an Afghan woman, the importance Afghans place on every family having a son, gender and sexuality issues, marital dynamics, and patriarchal societies. Nordberg clearly explained why Afghan families sometimes raise their daughters as sons and emphasized that there are a variety of reasons a family might choose this path. Though some of these reasons are inexplicable to a Westerner (i.e. having a bacha posh ensures that, via “magic”, the next child will be a son), Nordberg helped me understand how these people, given their history, customs, and surroundings, could resort to such beliefs. Nordberg focused on a rare female member of Parliament, Azita, to illustrate the broader bacha posh custom. Using Azita as the focal point gave me a specific person to root for. This book was chock full of “did you know” tidbits, which I love in my nonfiction. For example, Afghans idolize Jack Bauer from the TV show 24, Afghan women’s rights actually improved during the Soviet occupation (because the Soviets de-emphasized religion), Thursday nights in Afghanistan are for “conjugal traditions”, and Saudi Arabia first allowed women to participate in the Olympics in 2012. Nordberg touched on the Afghan population’s general impressions of its various occupiers over the years, but I was particularly curious about this and wished she’d gone a bit deeper. It was fascinating that the Afghans actually viewed the Soviets as liberators from “mujahideen infighting”, but I couldn’t quite get a handle on what they think of the Americans (although, this could probably comprise an entirely separate book). Regardless of who they are, whether they are rich or poor, educated or illiterate, Afghan women often describe the difference between men and women in just one word: freedom. As in: men have it, women do not. One book which remained in my mind as it was poignant, emotional, tense, very hard hitting. Just grateful I do not live there. SO grateful we don’t live there. As I was reading, I was thinking about how horrible an Afghan wife I’d make. Not submissive, fiesty, etc. I have been meaning to read this. I need to make time for it! I added this during Nonfiction November last year, too, and know I need to make time to read it. I suspect I will like it for all the same reasons you did – especially the learning a lot, but not realizing it part. That’s the best kind of nonfiction! Totally agree – my favorite kind of nonfiction! I’m glad it’s a book to like with lots of learning on the side. That’s the kind of books I like. I love books that teach me something that way. This sounds so good! I have been wanting to read this but your review makes me want to start yesterday! I saw a great book pairing for this this week in which the blogger paired it with The Pearl That Broke It’s Shell. I forget the blogger since I’ve read so many at this point, but I thought it a brilliant pairing that I’m going to try out! I just saw that pairing today – brilliant! I think it was Kim at Time2Read. Haha – it was all everyone promised it to be! This sounds like a great book, Sarah, and definitely relates to I Am Malala, which I’m currently listening to on audiobook; I’m delighted to hear that you enjoyed it. It’s so tough to imagine life in this way; I feel like I’m being transported to another world when I hear about this culture. I bet it does relate well…that’s actually why I decided not to read I Am Malala…b/c I was already reading something that was pretty similar in topic. Excellent review. I have read quite a few books about Afghanistan and this sounds like another I could learn from. Last year I read The Sand Child by Tahar Ben Jelloun, a Moroccan novel about a girl being raised as a boy, so I was interested to hear you say this is a common practice in other cultures. Your defining quote says it all. Oh – interesting! I’ll have to check that one out! Such a good one! I agree about learning so much without feeling like you were sitting through a boring lecture. I’m glad you enjoyed it. Thanks for stopping by! I’m glad you enjoyed this one as much as I did! This is such an interesting concept and so difficult to comprehend how one day your child is a boy with all the privileges of a boy and then the next day they wake up and are told….no more, now you are a girl! Wow! I haven’t heard much about this one, but I am intrigued! By the way, I love the format of your reviews!!!! Thank you so much – I try to make them easy to scan! Ooooh..I hope so 🙂 I tend to gravitate towards nonfiction that reads like fiction. This is on my list now! Of course, I have to relate it to great (and heartbreaking) fiction I’ve read about Afghan women, like Kahled Hosseini’s Thousand Splendid Suns and The Pearl that Broke Its Shell by Nadia Hashimi. I just heard about The PEarl that Broke its Shell this week and have added it to my TBR! Have already read Hosseini. We hear so much about all of this in the news, but after reading your review, I realize how much I still don’t know. And, it sounds so fascinating. 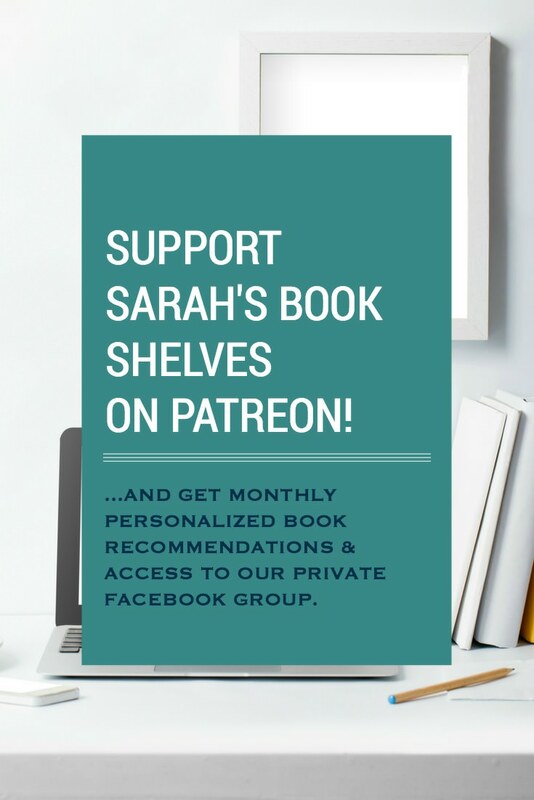 Thanks for the review – it’s been added to my list! I felt the same way. This is a much deeper dive than you get in the news and I really enjoyed that. Thanks for this great review! I am definitely going to have to add this one to my To Read pile. And I would second Lisa’s comment about the formatting of your reviews, since I love the way you’ve broken it down for the TL;DR crowd as well as those of us looking for additional recommendations. Cheers! Thanks so much – I try to make my reviews easy to scan! Question – what is the TL;DR crowd? Oh, haha! “TL;DR” is an acronym the kids are using these days that means “Too Long; Didn’t Read.” If they can’t figure out what the article is about from the headline (or, as you put at the top of this post “Bottom Line: Read It”), they usually leave this as a comment on Facebook or blog posts. It’s kind of annoying and cheeky, but it’s a good reminder that if you write really long blog posts and don’t chop it up with bullet points, people will be skipping to the end pretty quickly, in this age of attention deficits. 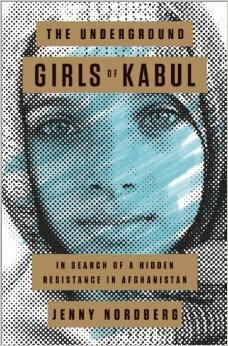 Thanks for recommending “The Underground Girls of Kabul.” I really appreciate good non-fiction, and investigative journalism that surprises. You’re welcome! I was really blown away by that one!